This DIY “miracle” night cream is a natural remedy to help brighten, hydrate, and detoxify the skin and reduce puffiness, spots, and inflammation. Since starting a new job, studying for my RD exam, and preparing to do that whole moving thing, this lady has been super stressed out and tired all of the time. Boy, does my face start to show it! You know, that whole puffy eyes, dark circle thing. Not cool! 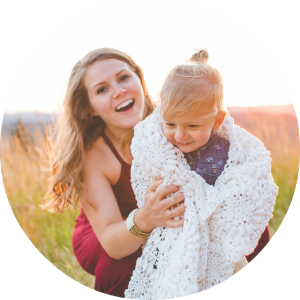 I don’t even want to talk about what grad school did to my skin… So, I created this DIY “Miracle” night cream to freshen my skin, diminish spots, and help reduce inflammation. I love what it has done to my skin. It feels so much more hydrated, brighter and inflammation has decreased. The recipe I am sharing with you today includes amazing ingredients. Raw shea butter and extra virgin coconut oil both are amazing moisturizers, skin protectors, and can help heal the skin. Almond oil (I use this kind) has been shown to reduces puffy eyes and dark circles, and also has anti-aging properties. Lemon essential oil (Like this one) is an astringent, detoxifier, brightener, and can help lighten skin spots. Aloe vera gel (I use this kind) is a skin brightener, neutralizes free radicals, repairs damaged skin, can help aid skin issues like eczema, and slows down the appearance of wrinkles. Bentonite clay helps absorb and remove toxins and impurities. Vitamin E oil can help block free radicals, slow down the skin’s aging process, and help heal scar tissues and skin issues. Directions: In a double boiler, crock pot, or microwave safe dish, place first four ingredients and heat slowly until melted. Pour into a blender and let cool. In a separate bowl, mix together aloe vera gel, vitamin E oil, lemon essential oil, and honey. Once the beeswax oil mixture has completely cooled and become almost the texture of lip balm, mix it with a spoon a little to break it up and add the aloe mixture into the blender. Blend until well combined. Place back in a non-metal bowl and add 1/2 tsp bentonite clay and stir with a non-metal utensil (I love spatulas like these). DO NOT LET IT COME INTO CONTACT WITH METAL! You get the point :). Place cream in a glass (I use these) or plastic container and store in a cool, dry place. I’ve been using this cream for a little while now, and I love the way it feels on my skin. I can see a difference in my skin, too! Brighter, hydrated, and the puffy eyes/dark circles have decreased a kit. Plus, you know exactly what ingredients are going in, and you don’t have to worry about harmful chemicals. I feel like I say this every time I do a DIY skin care recipe. It’s true, though! The reason this is a night cream is because it contains lemon essential oil which can cause photosensitivity in the sun. If you want to make this a day time cream, just eliminate the lemon essential oil. You could make one cream for day and one for night! Side note: Some people believe that aloe can boost hair growth. I could not find a scientific study proving this and from personal experience of using aloe vera on my face for a while, I have not grown facial hair! Aloe can increase absorption of steroid creams, so you may want to avoid aloe when taking them. This post contains affiliate links which helps support A Blossoming Life at no extra cost to you. LOVE this! Will definitely have to make it. But was wondering if you had an alternative option to the vitamin e oil? No matter what brand or quality (even mtn rose herbs) makes my eyes water like crazy and get red. I will make this anyways though cause it looks wonderful. Thank you! hmmm… That stinks! You could just make it without the vitamin e oil and add extra almond oil! What about subbing out the Aloe, I have a sensitivity to it on my face. Any suggestions? Although I have never tried it, you may be able to use vegetable glycerin. Let me know how it goes! My skin is sensitive to aloe, too! I have never even heard of anyone else (besides my mom) who had this problem. And what is in every product for sensitive skin? Yep, aloe. Sooo frustrating. Me either, it is so nice to know I am not alone. Nobody else in my family has the problem with aloe. I tried to drink one of those aloe drinks and it totally made me sick, so its not just sensitive skin for me. Hey, just a thought for you ladies who are sensitive to aloe. I have been experimenting with my diet lately to try to find what upsets my stomach the most. Through a lot of experimenting and time I found that xanthan gum and carrageenan both bother my stomach (I have never put them on my skin but I have very sensitive skin). Aloe Gel always has a thickener in it. The two that I have noticed that are used the most often in “natural” aloe are xanthan gum and carrageenan. It is possible that it may not be the aloe but the thickeners in the aloe that bother your skin. Anyway, I hope that helps. Have a great day! I’m so glad to hear that I’m not the only one that has allergic reactions to Aloe, I have to read all labels to make sure no Aloe is in it even if it is the last ingredient I have reactions to it. I was also thinking this sounds like a great nighttime face cream. When I blend the two mixtures together they don’t mix well and it is runny? Is that normal or did I do something wrong? I am having the same issue. Not sure where I went wrong. The two parts just will not mix. I’m thinking she meant 2 teaspoons of almond oil, not 2 tablespoons. She typed 2 tbs and she probably meant 2 tps. Oils in lotion should make up 10 to 25% of the recipe. How the recipe is typed above, the oils make up 46% of the recipe. By changing the almond oil to 2 teaspoons, the oils make up 24% of the recipe. I make my own lotion and I usually use more oil than most. It’s a longer process but love my results. As my concoction cools i periodically stir. Sometimes with a whisk then a plastic long handled ladle. As the mixture gets cooler I use the two more frequently. I usually put the lotion in the containers the ingredients came in and store for future use. I think but. E helps with preserving. yay! making individualized personalized face cream is the best! I’m allergic to beeswax. Is there anything I can use as a substitute? Since I’m a vegan I omit the honey and substitute the beeswax with candelilla wax but if you use it only use half the amount as its a harder wax. i am also vegan and have used maple syrup instead of honey after doing research on google. It has many of the same properties. Good luck with your RD exam. I have been an RD since 2005. Coconut oil would not be a good choice for oily skin types, or combination skin in the summer. It is highly comedogenic (pore clogging). Jojoba oil is an excellent alternative for all skin types. Just wanted to chime in. Otherwise, this recipe looks wonderful! hi DO YOU HAVE MEAN COCONUT CHANGE TO JOJOBA? Yes! I have a combo of oily, dry, and acne prone skin and this has worked great for me. I feel like since using it my breakouts have decreased! Honestly, can I just buy some from you? Wow, wonder if that cream would help an old face (73). I have hard time finding lotions and creams for my very sensitive face skin. Your recipe sounds really good. I used Vit. E oil on my knee replacement scars as soon as they were healed up enuf. Scars aren’t gorgeous of course but not too bad either. Figured it couldn’t hurt. I’d read somewhere that Vit e oil helps them not look as bad, believe me they’re not pretty. When I can get all the ingredients I’ll make a batch. Glad you shared this post. Happy days ahead. I’m going to pin this post. I’ve used a form of this for several years…I am 72. It works wonderfully on my super dry skin. I used coconut oil, glycerin, raw honey, vitamin e, shea butter, aloe and a few drops of lavender essential oil. It keeps very well on the shelf in the bathroom, but I don’t make a lot at a time, either. It lasts about 3 months. It also makes my hands and forearms less ‘crinkly’ when the weather is really dry and cold. I like the idea of using the bentonite and will add it in the next time I make it. JaneEllen ~ Some great essential oils for more mature skin and scars are: frankincense, lavender, carrot, sandalwood and rose. I would not use the lemon essential oil since it can be astringent and possibly become phototoxic if you go out into the sun. The coconut oil has wonderful skin healing properties just on its own. I have had great luck with the frankincense for skin care, healing minor skin issues and scarring. Make sure you good quality pure oils. frankincense, sandalwood and rose aren’t cheap but, a little goes a long way and they are worth it. I have all the ingredients, but my aloe vera is juice. Would this work, and in what quantity? I don’t think this would work due to consistency. I would think it would make the cream runny. Can I substitute the White Kaolin Clay for the Bentonite Clay in this recipe? I’d prefer not to use beeswax. Any ideas for a substitute? Soya wax can be substituted for beeswax, although it’s softer so you might need to use a little less to get the right constancy. Where can I get the bentonite clay? Since the ingredients should not be in contact with metal and the blades in the blender and food processor are metal what can I use to process the cream? Great question Dee, I guess I have to find some plastic blades for my mixer, Any other suggestions would be helpful???? Just blend all of the ingredients except for the clay in the blender. Then remove from blender and add clay and stir! This was the question I wanted to ask. Thanks, yall!! Supposedly it deactivates it so it won’t absorb toxins as well. Will have to try this one. where can you purchase the bentonite clay? I just use plain olive oil. It works wonderfully. Almond oil is very similar and would probably work on its own too, but IME it goes rancid quicker than olive oil. I love coconut oil on my hair but it makes my skin break out. Just finished two batches. One without the lemon oil for daytime use. Of course, I mixed everything in the blender, including the clay!? (Oh well, I will remember next time and hopefully there is still some “life” left in the clay, lol.) It separated, but after I stirred it in the glass jar (with wooden stick) it was nice and creamy 🙂 Thank you so much for the recipe, you are awesome! LOL that’s ok! You could probably just add a little more clay to it! Hope you love it! If everyone that has made this recipe uses a blender/food processor with metal blades…….is it safe to assume that it’s ok to use metal??? You just need to read the instructions carefully. She says to blend all the ingredients (except clay) in a blender, then take the blended mixture out, put in a non-metal bowl and only THEN add the clay and mix with a non-metal spoon. It’s only when the clay has been added that the mixture cannot come into contact with metal. Thank you Kiki Chaos, Great Save, Got It!! All of the ingredients should be pretty easy to find! Good luck! I don’t see why not? They have very similar consistencies and seem to have similar beneficial qualities! If I have mature skin and drop the lemon how much of what would I change, thanks! Where do I get the ingredients for the night cream? Check the links above in the ingredient list. You can also find some of the ingredients at your local grocery store. Try the bulk herb store or mountain rose herbs, they both have it. Great post – think i might have to whip some of this up. Followed you from Homestead Barn Hop. Love for you to come by Wildcrafting Wednesday and share. Great recipe, I make something similar with just Aloe gel, vitamin E and Jojoba oil that I use under my make-up. I wanted to add that I use straight extra virgin coconut oil on my face at night, and it has never clogged my pores, and has actually decreased my acne dramatically. Thanks for sharing Roberta! I totally agree about the coconut oil! I noticed in the picture your cream looks more white, mine was a yellowish color until I added the bentonite clay…now it’s a strange grey/green color. Is it normal for it to be that color? I wouldn’t put very much peppermint oil because it can make your skin very cold and tingly feeling. I’m not sure of any skin benefits to peppermint oil. Great recipe! Do you think I can use Fullers Earth Clay instead of bentonite?Just beacause I have the former. I don’t see why not. Although I have not tried it! Is there any way I can buy this from you or someone else? Currently I am not selling this cream due to lack of time! Maybe in the future though! You don’t want it to contact metal, but a blender has metal blades. How does this work and why does it matter? I’m not positive because I have never tried it before. I would think so… Let me know if you have tried it and it worked! I am a 32 year old with pale skin, freckles, and acne rosacea. Extremely dry skin in both summer and winter when less moisture is around. Anything I should sub or leave out? Would really like to make my own since now I’m watching out for my skin as it matures with age while at the same time not creating more breakouts or irritating the rosacea. Hi, I just tried to make today and the result wasn’t the same as pictured. I never used bentonite clay before, is that a powder? The one I bought is a powder. And my aloe Vera said gel but it wasn’t as thick. I would say this is the problem because my lotion is very runny. Do you use aloe Vera from the plant? I want make as a gift. It is my first time making homemade lotion. Thanks for recipe! Even if is not creamy texture I am still going to use. I used aloe from the store. Bentonite clay is a powder. You can find it at whole foods in the bulk section, a local co-op and possibly a health food store. The bentonite clay helps thicken it up. Add the amount listed and if you feel that it is not enough add a little more. Hope that helps! Let me know if you have any other issues! Thank you so much for your reply. I did a new batch and I used my magic bullet to mix rather than my large food processor. It combined beautifully! I am giving some for Christmas. Happy holidays to you and your family! Aloe gel and the bees wax did not mix at all. Thanks a lot for the sharing, I loved it the first time I read about it :)). I have collected all the required ingredients and ready to make some tonight. Just one small concern: I remember reading somewhere that bentonite clay should not be left on skin overnight, is this a leave-in cream or we just wash it off after 20-30mins? Thanks again for the recipe! Really appreciate it. I am wondering the same thing: is bentonite clay safe to leave on your skin overnight? Thanks for a great article! I haven’t seen any articles saying otherwise and I have not had any issues with it. I do wash my face every night before bed and rinse it with water in the morning before reapplying the lotion and putting on makeup. Mine came out liquidity, does anyone know why? Maybe my measurement of aloe Vera gel is incorrect? Also can I use Olive oil instead of clay?? I would not use the olive oil instead of clay because the clay helps thicken it up. I am planning to use glass jars to store my lotion after making this recipe; will the metal lid of the jar ruin the lotion? I heard that cinnamon and nutmeg are excellent to clear spots on the skin. Any chance you sell this already made in the little containers? I don’t have many of these ingredients locally. Hi! It’s the future…lol do you have time to sell it now? Hello! I clicked the link for the e oil, and there wasn’t one on the page. Unless, you use the sunflower or wheat germ oil? Hey Amanda. Sorry about that. They must have discontinued theirs vit e. I put a new link on there that should work! How long is the miracle cream’s shelf life? The last two batches I have made have been runny. I even ordered the aloe you had in receipt but still runny. Any idea what I might be doing wrong. O no Nancy! Did you add the bentonite clay? You could try adding a little more bentonite clay to it to see if that would thicken it up. Great recipe! Can I use it around the eye area? Hi, I just got Aloe Vera Gel-concentrate 10:1 and ready to make a cream. But I wonder the Aloe Vera gel is liquid, althouth it’s said-Gel besides. Will that work for the cream and how much should I put into cream? Found this on Pinterest, what size jar did you use and how much does it make? I have tried so many facial night creams, I can’t recall them all. But for the money, I still love Made from Earth’s Olive Night Cream is the best. It goes on smoothly and soaks in quickly. I get told I look younger than my 47 years, and I think good genes and this have helped! I also love the very light fresh scent and so does my husband. What is the shelf life on the cream? Does the Shea butter have to be raw? Can I use regular Shea butter? I made this, and it was a little runny. Did I slack on the beeswax? Or is it supposed to be a little on the thin side? I don’t have any bentonite clay, can I leave it out? You can but it will change the consistency and may not be as thick. Can you purchase this already made ? Unfortunately I don’t sell this! Maybe in the future! You could probably use jojoba oil as long as your not allergic to it? It is also very good for your skin. I like the nightcream, but Lord, it stinks! Smells like saliva on your face. I tried adding some essential oils (besides the lemon) to it, but the cream ate them up and still stinks! I’m not sure why this would smell?? None of the ingredients should have a strong odor. Maybe one of your ingredients was bad? I’ve made this a bunch of times and never had a problem with smell! I really wish I could Brianna! Unfortunately right now my time is super limited. Sorry! Maybe in the future! Love the recipe. Can I just buy some from you? I will pay shipping of course. I have been using this cream from few days now. But after applying it comes out in layers n I still feel dryness around my eyes. thanks for sharing such a wonderful thing. I have made this cream , al thgs r fine but its lit liquidy n it doesn’t get absorbed properly n start cumg out in layers. plz suggest what to do. I am ordering the items needed and was wondering how much one batch of the recipe makes? Does all of it fit into the container on the picture? What size container is it an where did you buy it? It actually makes more than what is shown here. I got these containers from Walmart and they are pretty small. I would say it fits a 4oz jelly mason jar. Can you substitute lemon essential oil by orange essential oil? I don’t have bentonite clay, what should be the result if I don’t put it into the recipe? Does this cream make our face brighter? You can substitute the lemon for orange. I don’t know the result if you don’t use the bentonite clay. My guess is that it will be very liquidy. Yes, it helps brighten and clear your skin. If the clay shouldn’t come into contact with metal, how do you use a blender? I was wondering the same thing. Did you get an answer. I found your website from a post on pinterest! I love “everything”. Can’t wait to try them! Thanks so much for sharing! Thanks Theresa! That is so sweet! The night cream looks great but I am vegan and wonder if you have an alternative to beeswax or can it be left out altogether? Thank you. I look forward to trying this if I can! I would suggest, perhaps, using a few drops of frankincense. It’s a good anti-aging oil. Do u have a subsitution for almond oil?? Thank you…I am going to try this. I think this will make a nice cream for my forehead, it tends to get dry in all weather but esp. during winter….thanks for the recipe! Can I use fresh aloe gel obtained from aloe leaf? Is lemon balm essential oil the same as lemon essential oil? So I tried making this a few days ago and since I had a hard time finding some good aloe vera in my small town I figured I would just use fresh from a plant. Well, after spending about 30 mins milking a 1/4cup from my poor plant it all came out the texture of snot. Not Appealing. So I ended up throwing away that batch and making a trip to our local health food store and found some good aloe vera there. Thank goodness! My newest batch came out really good! Not the texture of snot at all! Just wanted to put a warning out to anyone who might be wanting to try using fresh aloe vera: unless you like the feeling of smearing snot on your face, stick to the gel aloe vera! I like the fresh aloe and isnt like snot when mixed up. What do you use for a cleanser with this? I’ve been cleansing with a mix of olive oil and castor oil, but I’m looking for other things as I’m not totally sold on this. You should try washing your face with honey. It has done wonders for my skin. I also do a bentonite clay mask every night with apple cider vinegar and ylang ylang & lanvender EO. I hate to be a negative Nancy here, but both glycerin( as was suggested as an alternative to the aloe) and aloe gel itself are water based, and as such will require a preservative. Vitamin E is not a preservative, it is an antioxidant and wll only serve to extend the shelf life of the oils, as well as its skin benefits. Just made the DIY miracle night cream and it got soupy looking , it did not set up . Wondering if the aloe vera gel that I used was the wrong kind ? I used the Lily of the Desert Aloe Vera Gel brand . I also used raw organic honey . Feedback would be welcomed . Thank you . What consistency is this cream supposed to be? I’ve tried it twice now and it’s more of a “snot” texture from the Aloe Vera Gel. However, my skin does feel nice once absorbed but it’s not really a cream as such :/ I used Apricot Kernal oil instead of Almond…. I was just wondering approximately how much this makes, I can’t seem to find it anywhere…am I missing something? Thanks and can’t wait to try this!! I made this today and just used it. The clay seems to be making my skin shed. Not sure if it’s because it’s my first time using it and I had a lot of dead skin. It feels kinds of icky though and the clay feels sandy, is that normal? Hello, thankyou so much for this organic recipe!! I just finished making it but it did not mix well. I did excatly as you said to mix two different batches and then mix those in blender. The blending part didnt go very well. The melted ingredients stayed seperated from aloe ingredients… I added clay at the end hoping that will help mix it but no luck. I am going to use it by mixing it well on my hands before applying. But suggestions will be appreciated for future. Love! 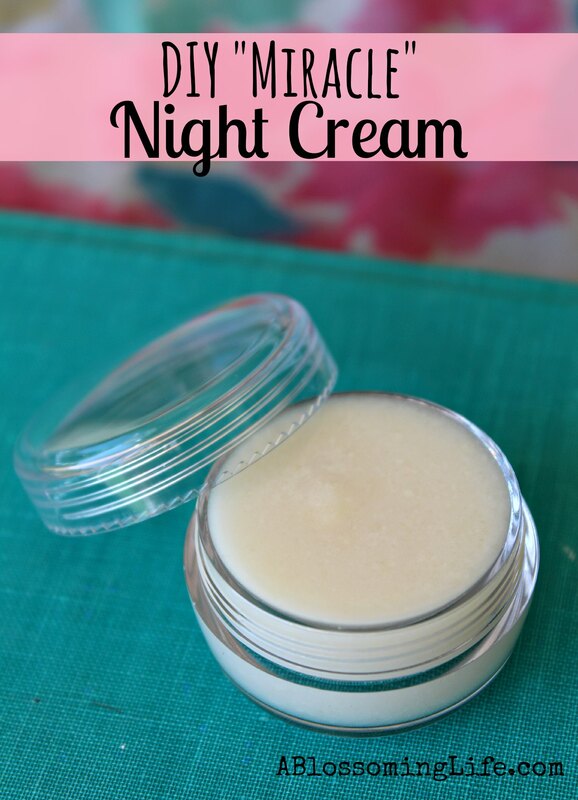 I made this night cream this evening and love it! Thanks for sharing. Great information! Could you replace the lemon oil for coffee oil for a daytime cream? I made this cream without the clay (didn’t have any, nor a car) and I used about half fresh aloe and half the green jelly kind. It’s a little runny, and because of the fresh aloe, it’s very slimmie. That being said, I put it on last night, and this morning my face felt AMAZING!!! I mixed mine by hand in a double boiler. It took a while for the aloe and wax to mix, but I had the water boiling so it melted well after a while. I also shake the cream before using. I would leave out the almond oil as it exacerbates excema conditions or those users who are prone to getting excema. Almond oil is also not friendly to acne or occasional breakouts. A good substitute instead for young skins, is to use Argan oil or Brahe seed oil for ageing skins, calendula oil is also good for excema or acne prone skins. I’m curious as to how you keep the bentonite clay in this recipe away from metal if you are mixing in a blender. Both of my blenders have metal blades?? Read the recipe again. She says to transfer it from the blender to another bowl before adding the clay. I just made this! Thanks for the recipe. I’ll try it out over the next week or two and see how it goes. 🙂 I used some tangerine essential oil which smells great. Hey Denice. This recipe doesn’t get solid per say. It is more like a loose cream. Since you used juice it will be on the more liquid side. It should still work just maybe a little harder to apply. So I decided to make your miracle night cream. I have made other night cream and body butter ,soap,deodorant ,still make them but non of my night cream was really a success. The miracle night cream is a miracle. People stop me wondering what I do with my skin where I buy my lotion because my skin is glowing and smooth. The only thing I changed was instead of putting almond oil ( I ran out of) I put rosehip seed oil in it and for essential oil I used German camomile and sweet orange and a very little frankincense oil. That is so great Vera. And Awesome switches. I’ve been reading recently how great rosehip oil is! Made my second batch :)) I’m addicted!! My cousin wants it , her husband wants it , the women I do yoga with loved it!!! Thanks to you!!! Hi there quick question about the clay. I bought it in powder form do I add it in powder form to the directions or do I make it in clay form first then add it as per the directions? Looking forward to trying this!!! Use it per the directions. The clay is in a powdered form which is kind of confusing since you would think it would be in a more clay form. Sorry for any confusion! This is one of my all-time fav diy face creams. I keep it in the fridge and use it at night. The cool gel and the lemon scent are wonderful, somehow centering. Great recipe. Oops… sorry did not proof read. Wondering how long the mixture and the ingredients are good for. I know I am late to the party, but I just found this recipe. I am having trouble with the beeswax mixture mixing with the aloe mixture. I see some others have had this problem as well. Any ideas? I should mention that I substituted jojoba oil for the coconut oil, and grapeseed oil for almond oil. Thank you. Hey Nicole. Did you blend it together in a blender? The oil substitution could have something to do with it since coconut oil solidifies below 74 degrees. Thanks for getting back to me. I didn’t even think about that. It works fantastically even as it is. I can’t use coconut oil on my face, but I am very happy with my results. Thank you for sharing your recipe, and for answering my question. I will look forward to trying more of your creations. May God bless you. This is an interesting recipe but because aloe vera gel is mostly water it does need a preservative. Without one the shelf life of this cream is roughly 2 weeks if kept refrigerated. Microorganisms cannot be seen by the naked eye so while your cream will look fine it will still be contaminated. Just fyi: vitamin e oil is not a preservative but an antioxidant. It helps oils from going rancid but does nothing to protect against harmful bacteria, fungi etc. which is the concern with water or water-containing ingredients like aloe vera, glycerin and even honey. tnx for this amazing recipe. just one quastion can i use natural aloe gel from plant? Can you please let me know what function the (bentonite) clay has in the recipe?